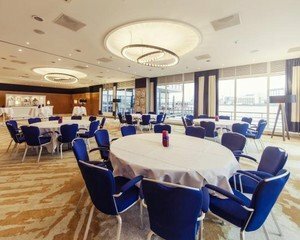 This room sits right on the water and offers magnificent views of the Nieuwe Maas thanks to its floor-to-ceiling glass walls. This high room catches a lot of daylight. 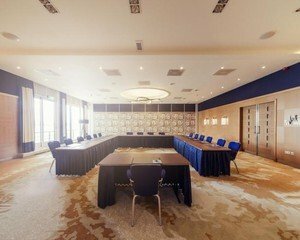 The modern furnished room in colours that remind you of a clear sea and a chandelier with LED lights is highly suitable for presentations, big meetings, receptions and parties. 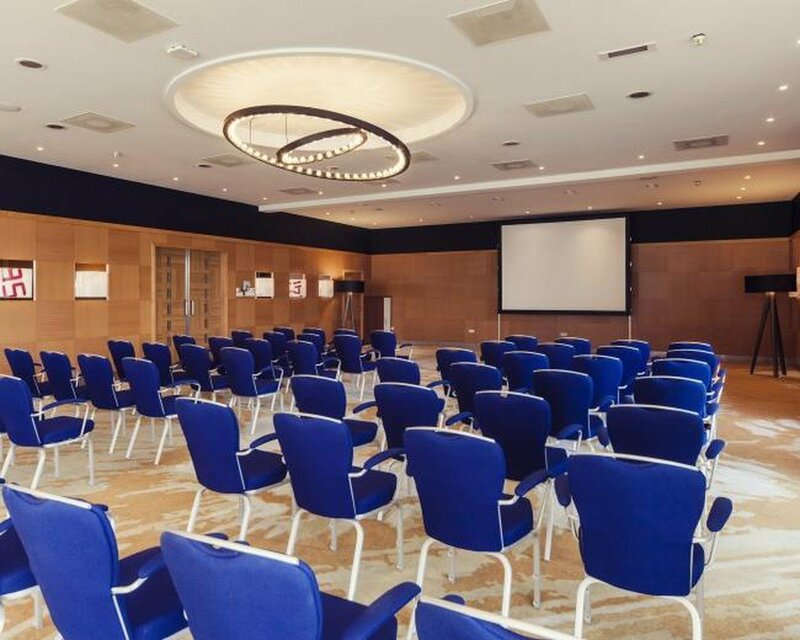 If you are looking for a conference or dinner for a slightly smaller party, we can make the room more intimate by dividing it into two by means of a sound-insulating sliding partition. Want to hold a conference or presentation at a quiet venue that is fitted with all mod cons? Are you looking for an inspiring setting for a brainstorming or training session? This venue offers various modern and comfortable rooms with a nautical feel. Be inspired by the yachtsmen and women in the background who sail around the world.